Life With 4 Boys: Country Crock + Fun Veggie Recipes = Happy Children! Country Crock + Fun Veggie Recipes = Happy Children! Any mom has probably experienced veggie defiance at one time or another. You know, that moment when your child absolutely refuses to put that vegetable that "looks funny" into their mouth. Luckily, three of mine are pretty good about eating their veggies, my youngest sadly would rather die than let most vegetables pass his lips. That is where Country Crock comes in. A long time favorite in our house, they have now teamed up with Clare Crespo to create a cookbook filled with fun veggie recipes that kids will love, as well as creating the Country Crock Chronicle site where moms can go for more great ideas on how to make vegetables fun! 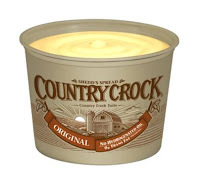 We have used Country Crock in my home for as long as I can remember. Not only as a spread on breads, but also in our recipes and cooking. It has 70% less saturated fat and 30% less calories than butter, but the same great buttery taste, which is not something I can say for a lot of spreads out there. I also love that there is 0 trans fat and that they are dedicated to healthier alternatives, hence their effort to bring more vegetables to children's plates. Country Crock teamed up with Clare Crespo to bring you "A Very Veggie World," a cookbook that exclusively features 25 veggie recipes that are designed to be fun and appeal to children. Trust me, when vegetables are this much fun, even the pickiest eaters will give them a try. You can find a free download of the entire cookbook below. Parents can also stop by the Country Crock Chronicle site for more information on how to help children eat healthy. I tried my hand at one of the great Clare Crespo recipes and while I likely will not win any veggie decorating competitions, the Out of the Park Baseballs made with red bell peppers and potatoes were a hit with my boys who all play baseball. Even my picky eater gave them a try! If you want to give this recipe a shot, you can find it with many others in the free download of the cookbook at the end of this post. Step 1: Combine all ingredients except bell pepper. Step 2: Slice red bell pepper into two long strips and several smaller 1/4 inch strips. Step 3: Use an ice cream scoop to place a sphere of potatoes on the plate and then arrange the red bell pepper into stitches on the baseball. Those baseballs are so cute! I love "kid food" and need to check out that cookbook! How awesome is that! I have to get creative with veggies for my son. :) I'll try this one for sure! 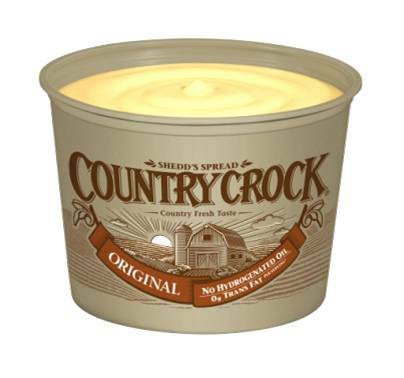 We love Country Crock. Thanks for sharing!